A distinctive, charming, fully renovated home to include, two guest cottages, situated on 1.4-acre, surrounded by 115 acres of private land that affords complete privacy .Located just feet from renowned Walloon Lake public access and boat launch. The two guest cottages (1092 sq. and 280 sq.) 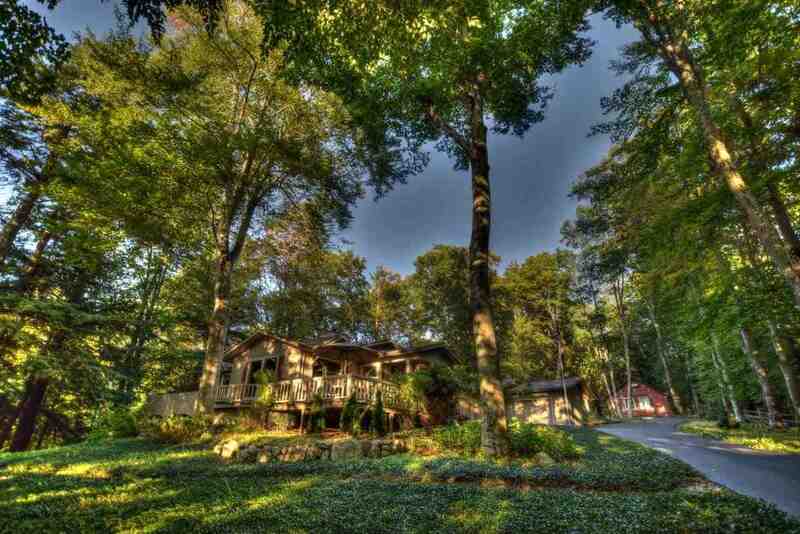 on property, combined with the main house, brings total finished square footage to: 4,755 sq. feet. The larger guest cottage includes a full-kitchen, full bath, washerdryer and sleeps 6. A four-car garage (with three single doors) offers ample parking. Shop in rear of Guest Cottage measures 24'x12'; with radiant floor heat. Energy-efficient, ideal for year-round or seasonal living that comfortably accommodates a large family andor guests with a perfect balance of separation. Whole-house generator, gym and additional enclosed 21'x18' storage area. This home is meticulously maintain. Beautiful Park like setting with mounds of myrtle and beautiful shade trees. Enjoy the open floor plan complete with shiplap and custom wood floors..